Is The Stanley Dock Haunted? The Stanley dock was built in 1848 by architect Jesse Hartley. The docks were the latest addition for the ever expanding city of Liverpool and is located in the northern section of the the cities main harbour. The dock acted as a main shipping route to America and in 1901 when the main Stanley dock tobacco warehouse was built it exported its product all over the world. During the second world war the warehouse was used to store the bodies of dead American soldiers awaiting transport back to the US. The docks have always been a sketchy place, especially before the warehouse opened and all kinds of illegal things went on here, including smuggling and even reports of Shanghaiing, which is kidnapping people to work as slaves aboard ships. The warehouse and dock was used up until 1980 when the business closed down and due to the state of the dock and how old everything was it was simply abandoned. 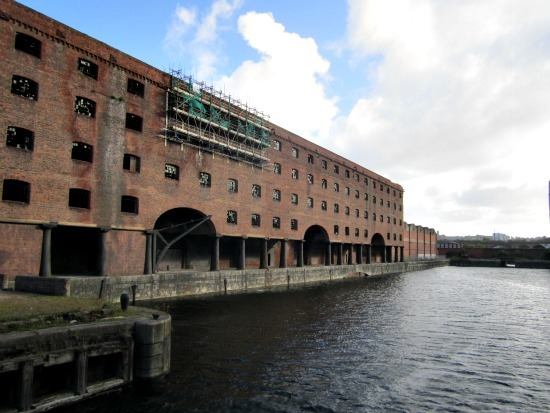 There has been a conservation project to try and save some of the dock and buildings, which started in 2006 and connected the Liverpool canal with the Leeds canal, and improved the surrounding area slightly. Today the area can be visited at any time since it stands on public ground, though access to the warehouse would have to be sought after through the local council. The Stanley dock was featured on the 2009 January live episode of "Most Haunted". They recorded a number of things on their investigation, as they suspiciously seem to on a very regular basis, but this only seemed to make people come forward with many of their own stories about the place. There is good reason to suspect the place of being haunted though, since it was situated in a rather poor area when it first opened and there have been a number of officially recorded murders and incidents, with the latest being in December of 2012, when a 25 year old man who had been missing for 2 weeks was found floating in the water. Probably the most well know ghost story of the docks is that of the body snatcher. When the building used to store bodies during the war, a number of them went missing, this went on for a little while until one day one of the soldiers guarding the building saw a man trying to heave a body out the window. He approached the man and ended up shooting him, killing him instantly. People who have been in the building have claimed to have heard the sound of something heavy being dragged across the floor coming from empty areas, though upon inspection nothing is ever found. Psychics who have been in the warehouse have often come up with the name "Crippins" in relation to the incident. There are many other stories of paranormal activity across Stanley dock, but the stories seem to be a little inconsistent, including things from poltergeist activity to the spirit of an evil doctor who can be found in the area used as the morgue during the war.